Five of the Hottest New Restaurants in Raleigh, N.C.
With the new year upon us, it&apos;s a great time to get out and try something new. Raleigh, N.C.&apos;s foodie scene continues to make waves, and visitors are invigorating their senses by sampling the many flavors of cutting-edge Southern cuisine enhanced by artisan craft brews and spirits. Here&apos;s a list of some of the newest restaurants in the area, adding even more opportunities for a great meal and experience. Cave 1912 is a kitchen and bar located in the heart of the Five Points neighborhood, offering locally- and globally-inspired, modern American cuisine. The restaurant operates as a wine bar and shop during the day and turns into a sophisticated place to enjoy an evening meal. The menu changes daily based on the freshest ingredients but consistently has pasta, meat and seafood options. Go with a group of friends and share bottles of wine, small plates and dessert. One of Raleigh&apos;s passionate minds, Ashley Christensen, recently opened her latest venture: Death & Taxes. The contemporary restaurant located in downtown Raleigh features wood-fire cooking with Southern ingredients. Like most of Christensen&apos;s restaurants, the menu changes by season but stays consistent with options "of the sea," "on the land" or "of the land." Hard-to-find and tasty options such as marrow bones, octopus and foraged mushrooms are included in the menu to create a one-of-a-kind experience for the diner. Located in downtown Raleigh, more. is an Italian-inspired restaurant and wine bar. The hand-crafted dishes are meant to be shared and are fresh, local and simple. The menu fuses traditional ingredients with creative flavor profiles featuring seasonal produce, house-baked breads and hand-rolled pastas. The restaurant features more than 160 eclectic and uniquely-distinct bottles of wine, carefully cultivated to harmonize with the cuisine and offer an exciting journey for your palate. Ryan and Justin Riek also operate Taste and The Oak, two other popular restaurants in Raleigh that focus on local and made-from-scratch meals. Newly opened in Cary, N.C., Oiso Sushi & Korean will fill your desire for fresh and authentic Asian cuisine. Owner chef Kim specializes in sushi and has worked at some of the top sushi bars in the area. He brings a new view to sushi but also delivers old favorites. He showcases his own inventive sushi roll, the Special Chef Kim&apos;s Roll, including tuna, salmon, white tuna, lobster salad, chives, cilantro, masago, all in daikon wrap topped with truffle seaweed salad. 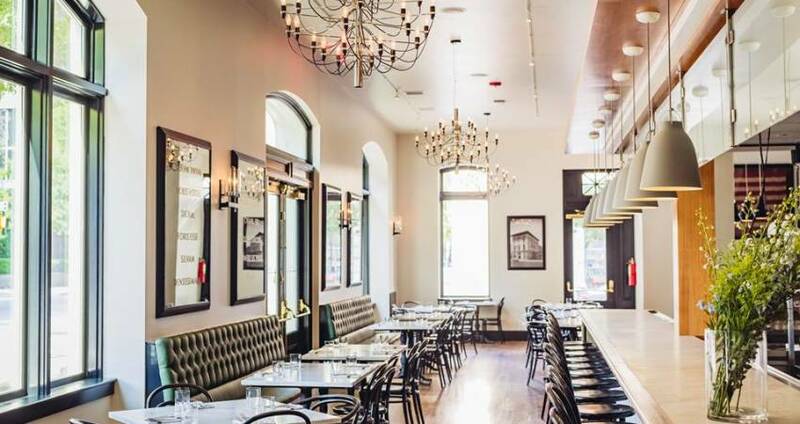 Located in Lafayette Village, Farina is a casual, neighborhood restaurant serving delicious American-Italian meals. The kitchen specializes in a mix of traditional and creative Italian dishes, most include fresh hand-made pastas. A large wood-fired pizza oven sits in the middle of the space cooking up "old-school Italian" pizzas, such as margherita or classic pepperoni pizzas, and Farina&apos;s "Italian our way" pizzas, which include wild mushroom pizzas with fontina, truffle oil and farm egg and more.